You have probably heard of swirling oil in the mouth from your friends, or read about it in the newspapers but you are not sure what this is really about. This is a trend that is increasingly present and above all has a great effect on dental health and oral hygiene. In fact, it is the Ayurvedic method that is over 3000 years old and for its implementation it is necessary to use a teaspoon of coconut oil every day. If you have gingivitis, or bad breath problems and you want to improve the health of your mouth, this is the best way to do it! In addition, there is a lot of useful and positive effects on your body if you opt for this simple routine. Learn more about how good Oil pulling is for you, what are the experiences of other people and how to apply this therapy. For starters, we recommend swirling coconut oil in your mouth. The reason lies in the fact that this is a very healing and beneficial natural product whose purpose is really wide - from cosmetics to applications for more serious illnesses. The way to swirl the oil in the mouth is fairly simple, but it is best to start with a five-minute treatment, and then you can gradually increase the time to 20 minutes. Just take at least one teaspoon and swirl it between teeth. In general, you do the same thing when you brush your teeth, or when you rinse with the water, retain the fluid in your mouth as long as possible. This is best done in the morning, before you eat and drink. Moreover, if you suffer from serious dental problems, oil pulling is recommended several times a day, before each meal. Once you are done with this, after 5 to 20 minutes, just spit the contents and rinse the oral cavity with lukewarm water. 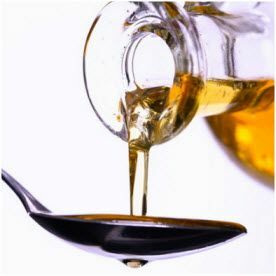 What you must know is that you should not swallow the used oil because of the bacteria. In addition, do not spit in the sink, but only in the toilet or in the trash. After this, you can brush your teeth with a toothpaste as you normally would. Of course, if you are not able to get coconut oil, you can always opt for sunflower oil. It is useful to use sesame and olive oil, but once again we note that the best results are achieved with coconut oil. What all this lens Ayurvedic methods? Oil pulling is an ancient method that has many positive effects on the human body. As already mentioned, most often it is applied when you have problems with your teeth, gums, bad breath, etc. In addition, it is very useful when it comes to preventing and eliminating caries and against periodontal disease. If you notice during brushing blood, it is a sure sign of problems with gums. Many people do not take this phenomenon seriously, but it is actually the initial stage of more serious dental problems. Do not hesitate and neglect dental health, but help yourself in this simple way, because mouth washing with oil will keep away all unpleasant occurrences and diseases. In addition to these problems, oil pulling is extremely helpful against chronic fatigue. The receptors in the oral cavity will pull all medicinal substances and minerals into the body, so apply this treatment every day to be full of energy. The secret lies in the fact that in this way the body cleanses, eliminates the accumulated toxins and free radicals, which cause many diseases. If you did not know, during those 5 to 20 minutes that this morning therapy lasts, all six litres of blood pass through the glands located in the oral cavity. Consequently, this method is recommended for those who have problems with acne, pimples and eczema. There are testimonies and evidence that this therapy was very useful with asthmatic and pulmonary patients. Simply speaking, in this way you will help your body release all poisons and toxins. It is safe to say that oil pulling is one of the best treatments for strengthening the immune system without the use of supplements. It is a method that is of preventive character, but certainly keep in mind the fact that it can be applied to treat already present illnesses and diseases. The duration of the treatment depends on what is the state of the immune system of your body, as well as diseases that must be eliminated. If it comes to an acute disease (fatigue, bleeding gums, headaches), they will be solved in ten days. On the other hand, problems such as asthma, arthritis and periodontal disease are necessary to be consistently applied in order for a disease to stop. What many people want to know is does the oil pulling have side effects, considering that this is an unusual way of treatment. In fact, it is not recommended to those who exhibit allergic reactions to coconut, olive, sesame or sunflower oil. Accordingly, you should choose the product that is made from plants that are not harmful to your body. It is important to use cold pressed oil and it is particularly important that it is not refined. In this way you will be sure to use a completely natural product that does not contain chemicals. We recommend the purchase of oil exclusively in health food stores and pharmacies, where you can consult with the seller, or pharmacist. If you found out about this therapy from your friends and acquaintances, surely you have heard nothing but praise. Indeed, when it comes to oil pulling experiences are very positive, and this daily routine is becoming more popular around the world. I like candy a lot, and of course I always had a problem with caries. The dentist told me that the best remedy for this problem is mouthwash oil. He probably noticed my great fear of all its instruments, so I listened and used olive oil that I already had at home. Already on the next control the dentist told me that there are no signs of new caries nor calculus. I have been using oil pulling for a long time and the experiences have been really great, because I was able to strengthen the gums, and they are not bleeding anymore. I am happy to advise my friends of this method, however, even those most suspicious will be delighted with the results. To expectant mothers it is particularly important to properly maintain their own health, which is also transferred to the fetus. Oil pulling in pregnancy is completely safe, moreover it is very useful. This is an ideal way to maintain proper oral hygiene and it is advisable to do it once a day, especially after the first quarter. It is a known fact that the teeth during pregnancy are more susceptible to decay, so be sure to rinse your mouth with oil. This verified Ayurvedic method is often recommended to young mothers. When it comes to breastfeeding moms there are no obstacles in implementing this simple Ayurvedic therapy, because by using it you get the required amount of vitamins and precious minerals, which is very healthy and beneficial for the baby. Oil pulling is safe for children, only in this case, parents must teach their children to spit it out, not swallow. Before treatment, consult your paediatrician or dentist. If you think this article was useful, feel free to share it on popular social networks.